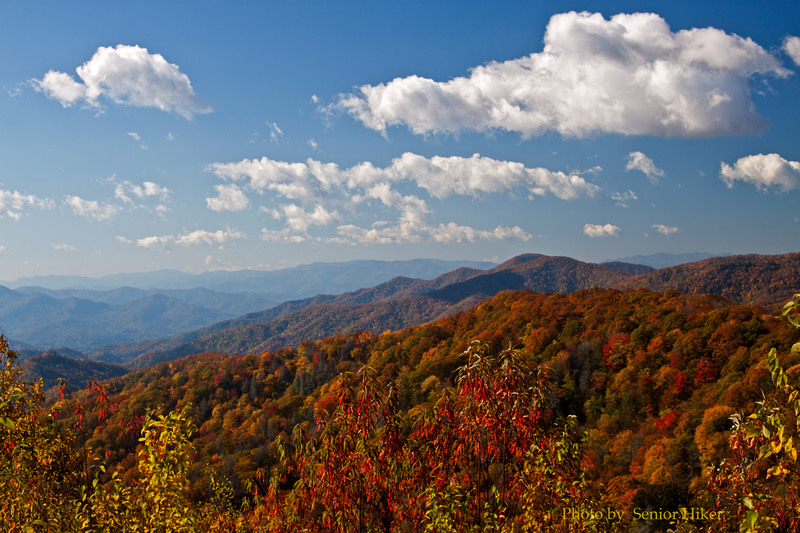 The Cherohala Skyway between North Carolina and Tennessee provides beautiful mountain scenes any time of the year, but it provides spectacular views in autumn. This scene was captured in North Carolina near the Tennessee border. Upper Mt. Nebo Falls, Mt. Nebo State Park, Arkansas. March 11, 2009. 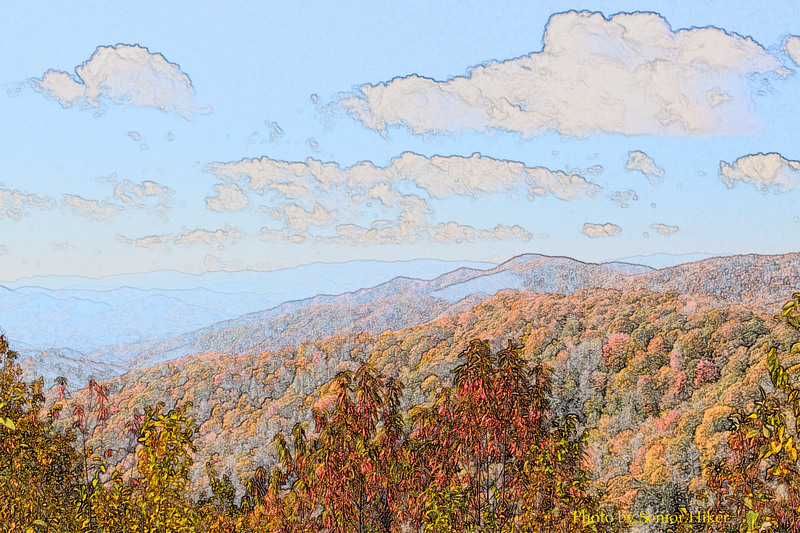 Several days ago Betsy and I went to the Smokies in search of autumn color. We left early in the morning and drove over the mountains at Newfound Gap. 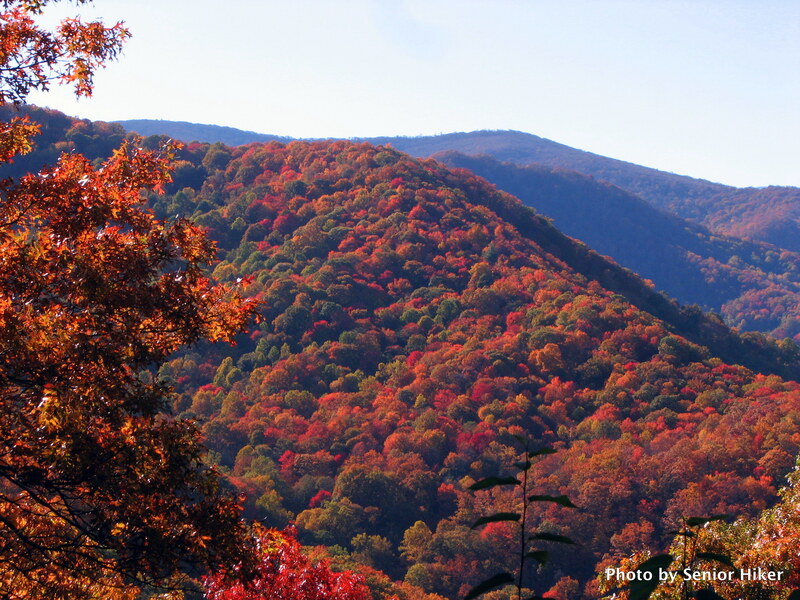 We saw this scene on the North Carolina side of Great Smoky Mountains National Park. 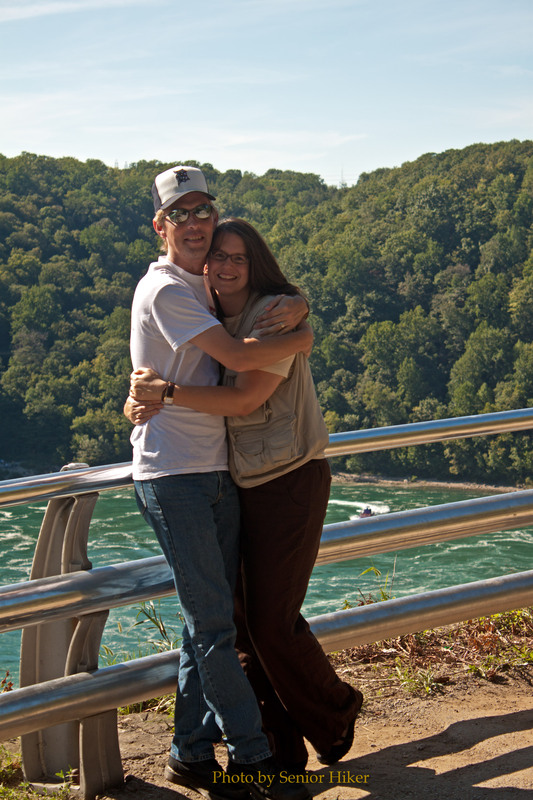 When we visited my daughter Kelly and her husband, Chuck, last month, they took us to New York’s Whirlpool State Park along the Niagara River below the falls. The park overlooks the river’s Great Whirlpool. The whirlpool is formed when the large volume of water coming over the falls is constricted by the walls of the gorge through which the river flows. 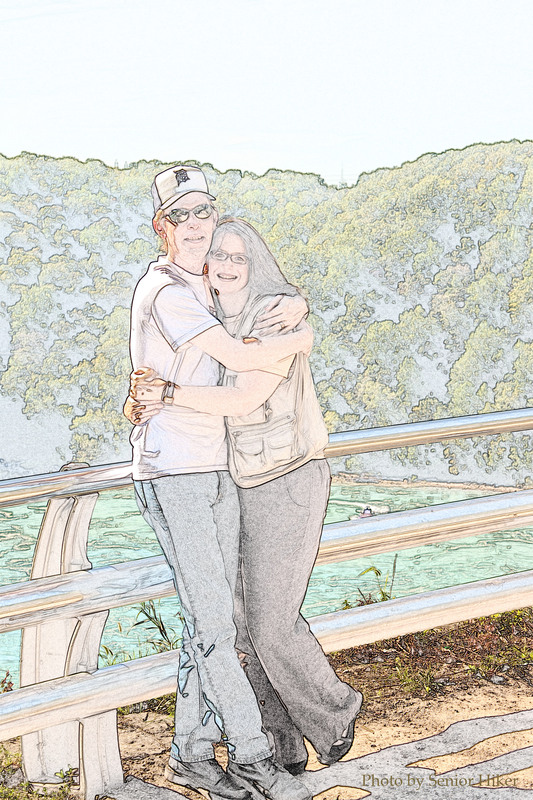 While we were at the park I took this picture of Kelly and Chuck as they stood along the rail at the edge of the gorge overlooking the whirlpool. Old Stone Fort State Park near Manchester, Tennessee, is an archaeological site over 2,000 years old. Old Stone Fort is a 40-acre tract of flat land completely surrounded by bluffs and gorges cut by the Duck and Little Duck rivers. In spite of the name, it is believed that Old Stone Fort was a sacred ceremonial site rather than a fortress. Betsy and I visited Old Stone Fort State Park in August, 2006. 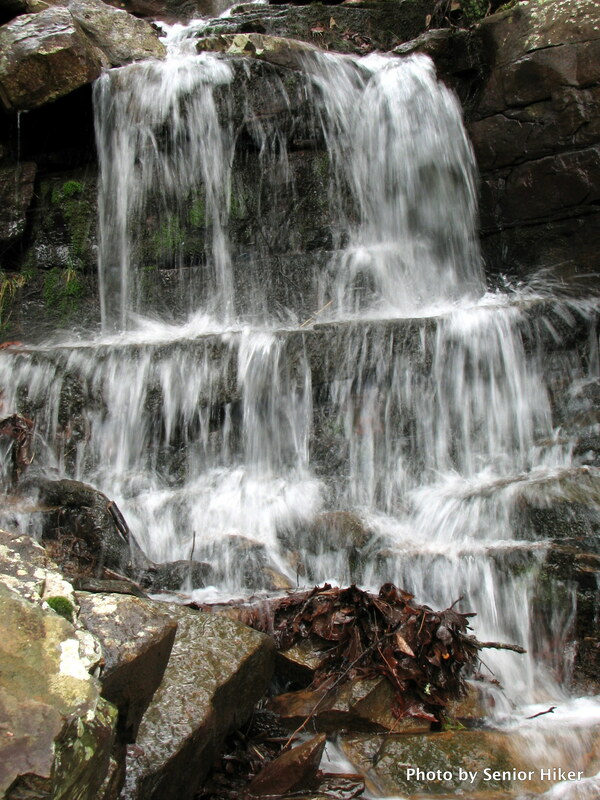 There are three small waterfalls in the rivers surrounding the park. The largest of these is Big Falls. 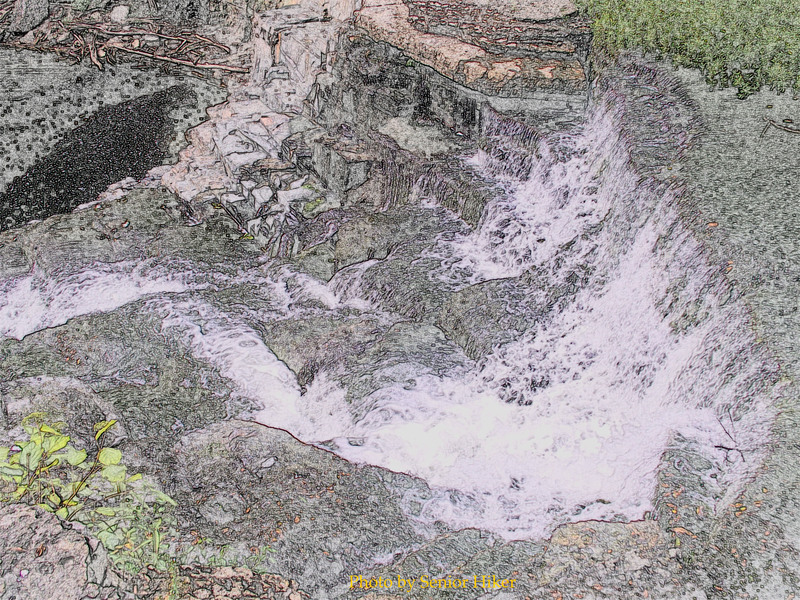 The drawing above shows one of the drops in Big Falls. Ed's Mill (the cabin) and Serenity Falls, Cosby, Tennessee. March 28, 2009. Cosby, Tennessee, is on the ‘quiet side of the Smokies’, so-called because most of the tourists go to Pigeon Forge and Gatlinburg. 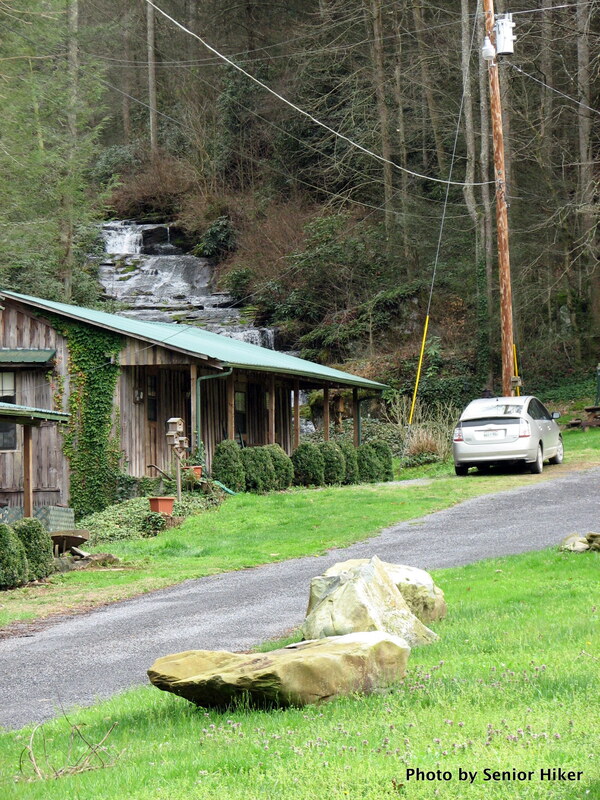 We like the quiet side, especially since we can stay at this cabin right at the base of a beautiful waterfall. 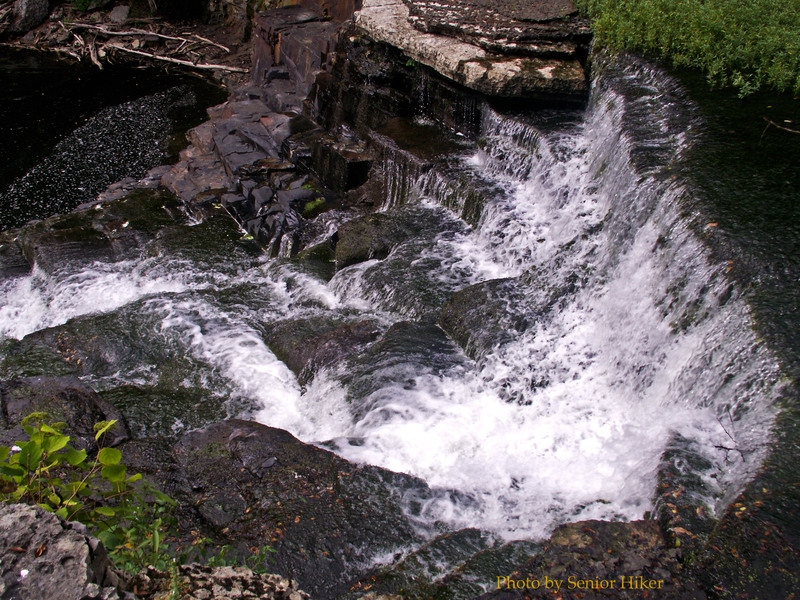 We’ve been to Serenity Falls a couple of times and have enjoyed it each time we were there. 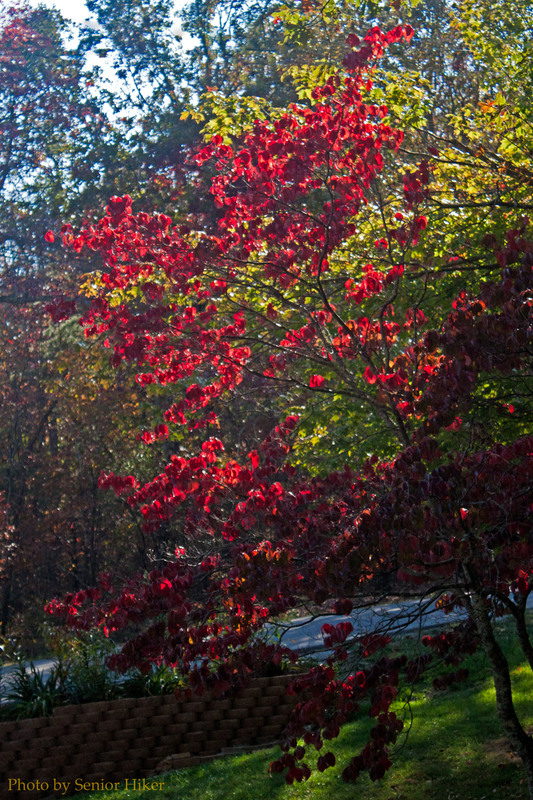 One of the first signs of Autumn in our yard is the red leaves on our dogwood tree after the season’s first cold spell. 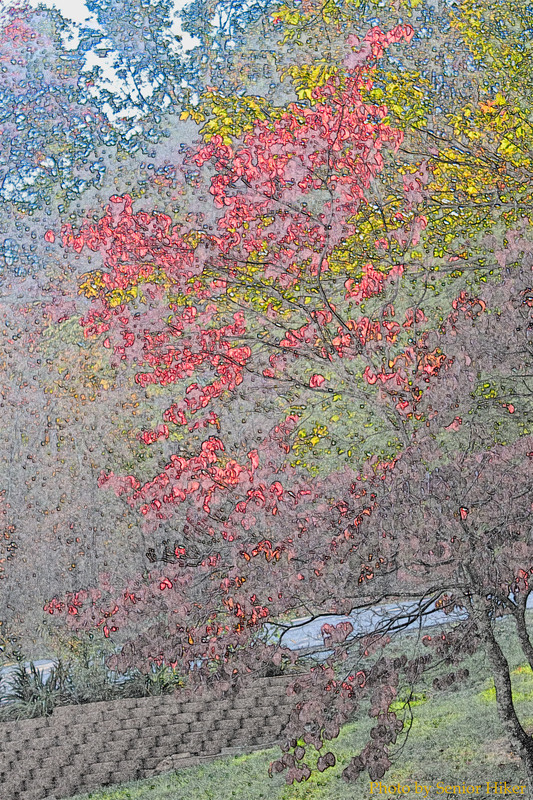 In the afternoons the leaves seem to glow when the sun is behind the tree. 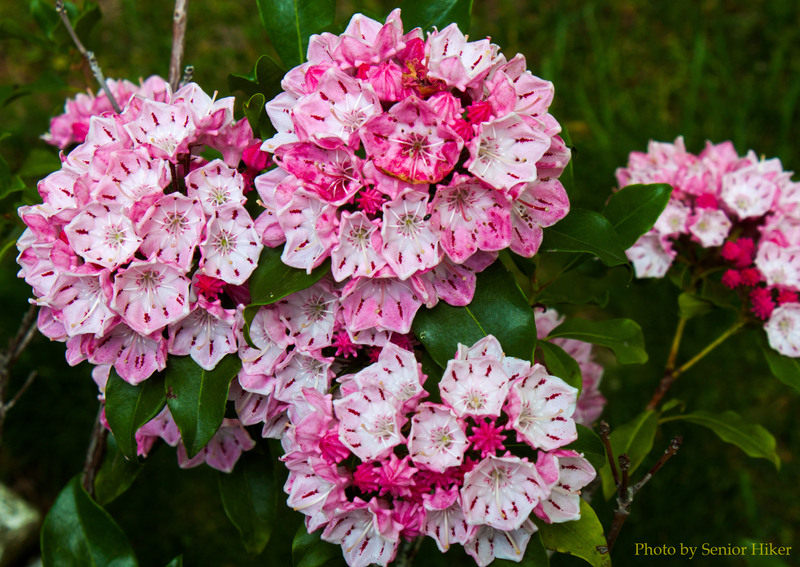 One of the nice things about Spring in the mountains is mountain laurel. The individual blossoms are small and delicate, but they form beautiful clusters. 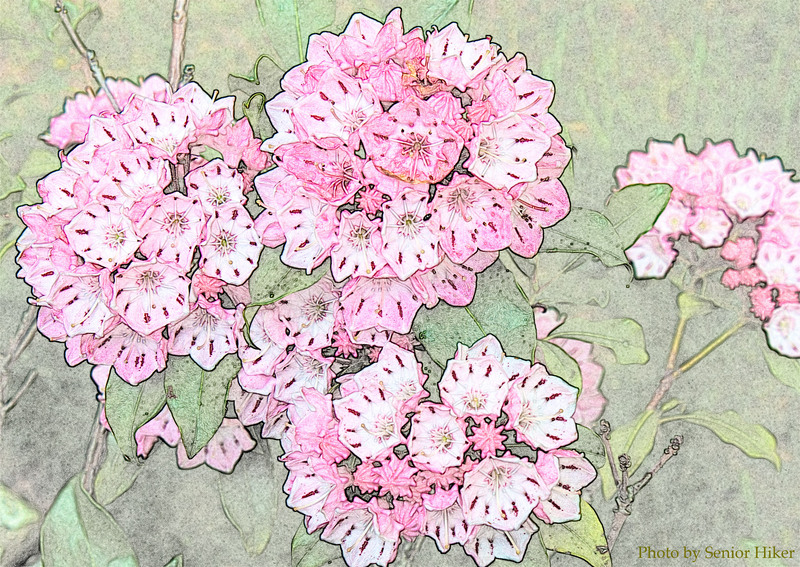 The blossoms vary from a dark pink to white. This particular laurel is in our yard along are back deck. Betsy and I love the streams in the Smokies, especially during times of high water. 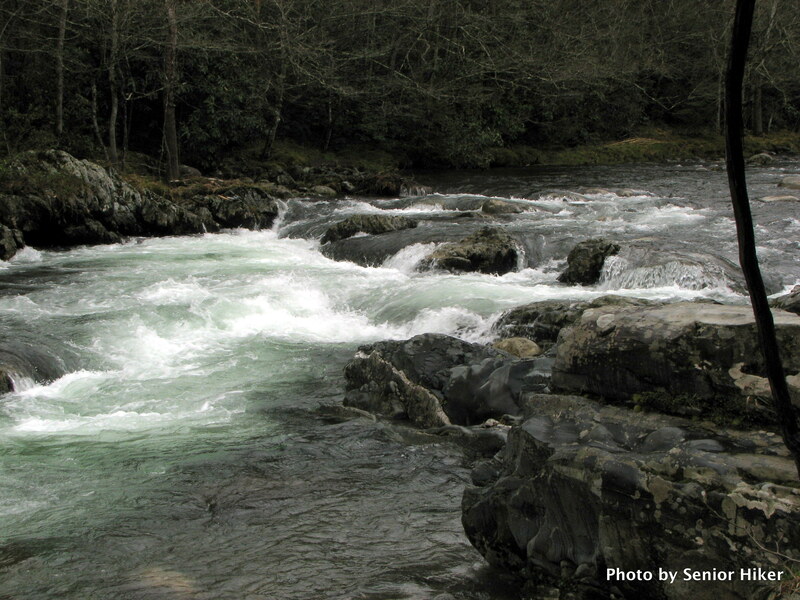 This picture was taken in March, 2009, along the Little Pigeon River in the Greenbrier section of the Great Smoky Mountains National Park.